During operation, dozens of Arabs attack soldiers and throw rocks at them. Soldiers respond with live fire and crowd dispersal measures. 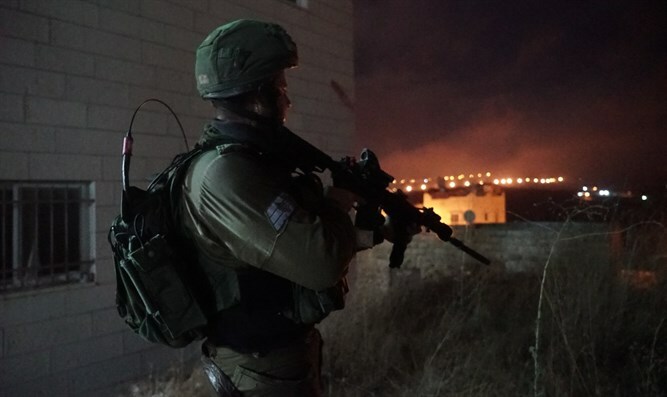 An IDF soldier was lightly injured Saturday night during an IDF operation in the village of Nahalin in the Gush Etzion area. Dozens of Palestinian Arabs attacked the soldiers and threw stones at them. The soldiers responded with live fire and crowd dispersal measures. The lightly-injured soldier was treated at the scene and taken to a hospital in Jerusalem for medical treatment. Overnight, IDF, Shin Bet and police arrested seven Palestinian Arabs suspected of involvement in terrorist activities and violent riots. The suspects were transferred for investigation by security forces.